After Facebook provided gift services to its users last year, the social giant has decided to target offline e-commerce. The card is linked with Facebook gifts and will allow people to buy presents for friends and acquaintances directly from the website. The new card can store credit for different brands. The launch partners include Target, Olive Garden, Jamba Juice and Sephora. Individual credits can be stored for each brand. The gifts tab on the Facebook pages of friends or acquaintances will allow the sending of gifts and gift cards. 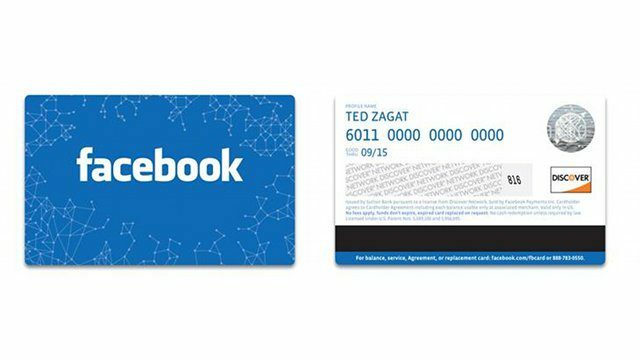 As the Facebook Cards are usable, anyone who receives digital gift cards can redeem them. Notifications can be set from the Facebook page for the credits, and users would be able to see the available balance from the page as well. In simple words, you select the brand, choose a credit balance, specify a recipient and after you’ve paid, the card is sent out through mail. Users won’t end up with multiple cards as all the balances received will be added to the single card that was sent. The company said the gift cards will slowly roll out in the U.S. There’s no hint for other countries, but that may change in next few days. Feel free to leave your comments on the story.